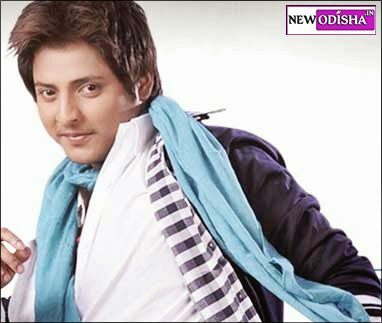 Babushan Mohanty or Babushan is one of the youngest and popular Actor in Odia Film Industry or Ollywood. Besides acting, he is a very good playback singer in Odia Music Industry and all of his songs are very popular and beautiful. See his best Songs here. He was born on 30th July 1989. He is the Son of Superstar Uttam Mohanty and Aparajita Mohanty. See the full Profile, Biography of Babushan Mohanty here and also get some beautiful high quality photos of Babushan here on New Odisha. Babushan Mohanty is one of the leading Odia Film Actor as well as a very good playback singer. Mr. Uttam Mohanty and Aparajita Mohanty is the Father and Mother of Babushan. His real name is Tanmay Mohanty and nickname is Babu. He took Babushan as his stage name. But now he is famous as Babushan Mohanty, the big star of Ollywood. He has a few of fan following all over Odisha. He did his schooling from DAV Public School, Unit – VIII, of Bhubaneswar. Now he is studying at KIIT University. Babushan is a trained classical singer. He is singing from 10 years old. His first film was Romeo – The Lover Boy which was directed by Hara Patnaik and produced by Brajaraj Movies. He is singing only for his movies. A fabulous singer and also actor who has ability to surpass every actor in Ollywood, . On 6 July 2014, Babushan married to his longtime girlfriend Trupti Satapathy. Babushan and Trupti had studied together at the DAV Public School, Unit – VIII. Give Responses for "Babushan Mohanty Odia Actor Profile, Biography and Photos"